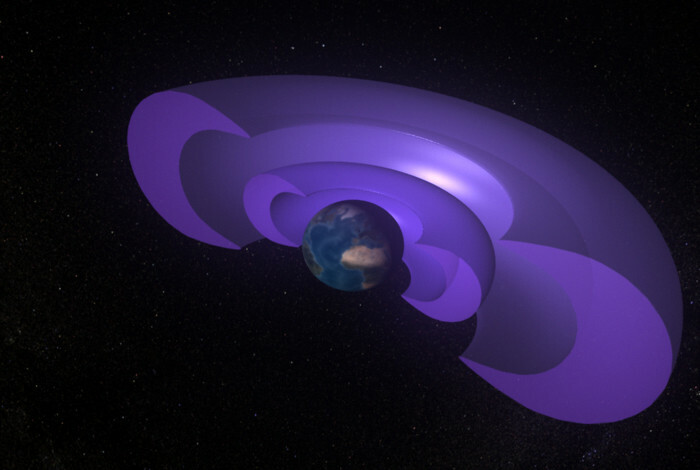 LOS ALAMOS, N.M., April 9, 2019— A new, first-of-its-kind space weather model reliably predicts space storms of high-energy particles that are harmful to many satellites and spacecraft orbiting in the Earth’s outer radiation belt. A paper recently published in the journal Space Weather details how the model can accurately give a one-day warning prior to a space storm of ultra-high-speed electrons, often referred to as “killer” electrons because of the damage they can do to spacecraft such as navigation, communications, and weather monitoring satellites. This is the first time researchers have successfully predicted those killer electrons across the whole outer belt region. Paper: Chen, Y., Reeves, G. D., Fu, X., & Henderson, M. (2019). PreMevE: New predictive model for megaelectron‐volt electrons inside Earth’s outer radiation belt. Space Weather, 17.